It’s 2015. Is this your year to become the best you can be? Embrace a fresh start: Uncover your true inner image and enhance your facial features to express all the beauty you possess on the inside. Welcome to Smith Cosmetic Surgery. For over 25 years, Denver’s faithful facial plastic surgeon, Dr. Brent J. Smith, has been helping patients discover all the self-confidence that comes from a beautiful, natural-looking appearance. When you look in the mirror, what do you see? Have you ever felt like you just don’t look quite as good as you feel? If so, you’re not alone. Whether it’s that bit of excess skin under your neck, those bothersome wrinkles around your mouth, or tired-looking eyes that have your attention, now’s the perfect moment to discover how Smith Cosmetic Surgery Center can help you achieve a refreshed and relaxed look. 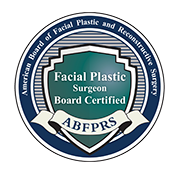 Unlike other generalist plastic surgeons, Dr. Smith is 100% focused on facial procedures. He’s a highly skilled and trained artist, a perfectionist—the good kind—who considers each patient’s journey in a truly personal and individual manner. 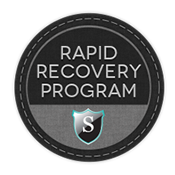 If you’re ready to explore how Dr. Smith and his exceptional staff can start you on your journey to a more youthful and rested appearance, we invite you to call us today at 303-741-2211 for your complimentary, confidential consultation. Happy New Year! We look forward to seeing in in 2015!